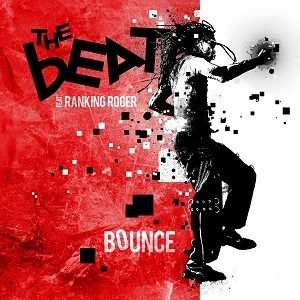 Here's a review I never expected to be writing - a review of a new album from The Beat featuring Ranking Roger. It's their first new album in over 30 years. The album has been written by Ranking Roger, his son Ranking Junior who has now joined the band, and producer Mick Lister who has worked with the likes of Bad Company, Amy Winehouse and The Feeling. If you're going to release new material after a gap of 30+ years, you need to make sure that it's damn good or you'll just disappoint the fans. Happily this new album is not just good, it's fantastic. In fact it's barely stopped playing in the week since I got it. It's a fantastic and diverse album. You've got that Two-Tone sound, alongside a more laid-back reggae style and also upbeat pop, and that's just scratching the surface. The album kicks off with "Walking on the wrong side" which is the first single to be taken from the album - check it out below. It's a great start to the album. It's actually hard to pick out a few tracks to comment on as the whole album is so good. "Heaven hiding" is a great pop song. "Fire burn" has a great reggae sound combined with lyrics that social injustice, include sending sons to war, and reference Guantanamo bay. It's a great song, and even more so once you listen to the lyrics. The Beat may not have recorded an album for a long time, but with this superb new album they've proved that they've not forgotten how to make great music. There's only one thing wrong with this album - the release date of the end of September means it misses the summer and this album is the perfect feelgood album to have blasting out on a hot summers day.